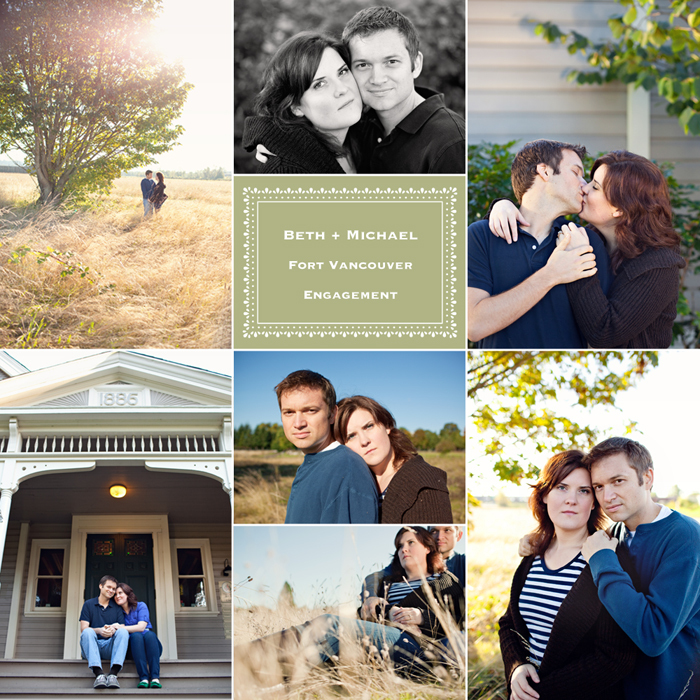 Beth and Michael’s engagement session was shot at Fort Vancouver in Vancouver, Washington. It was a crisp beautiful morning that started off at the historic Marshall house on Officers Row and ended in the fields of gold in The Village. 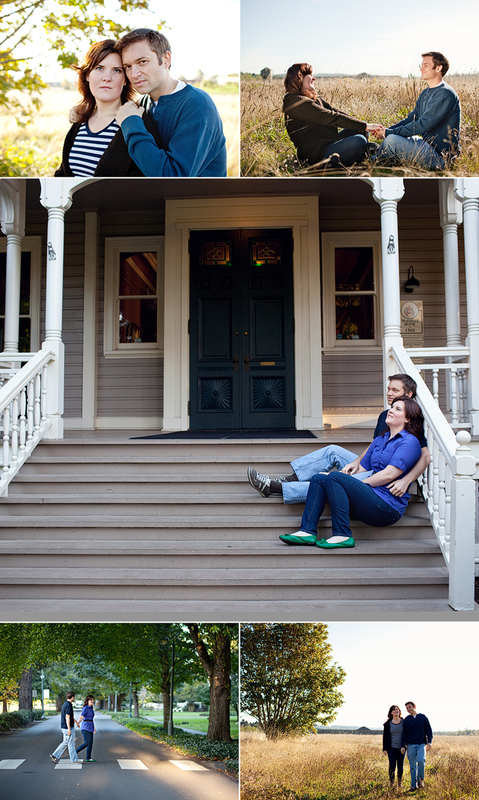 They are getting married in December and we will be there to share in their joy and document their story. Albert Palmer – What a sweet couple – love yoru work. Great lighting, great coloru and great composition. Milena Dekic – I am in love with the shot of the two of them walking away through that field, so gorgeous! Darko – Beautiful set. I love the images of them in the grass. Leo Druker – Looks like a really fun session. I love the first collage of them and that second from the bottom shot of them on the stairs – beautiful work. Paul Rowland – I love theimage where they are between the two fences. Very nice. Drew W – The very first photo with the flare through the tree is my favorite. 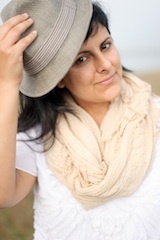 Great little session, Gina. Jared Tseng – Very nice! Love the field shots. christy b – Super in love with that first field shot with the warm sun filtering through the trees- so dreamy- lovely colors! Heather – I adore that last one on the left. Wonderful work! ibiza wedding photo – So lovely Engagement Photo Session! Well Done! Leila Khalil Lewis – Unbelievable Work! Absolutely stunning. Inspired By This – These pictures are so delicious! Love love love!